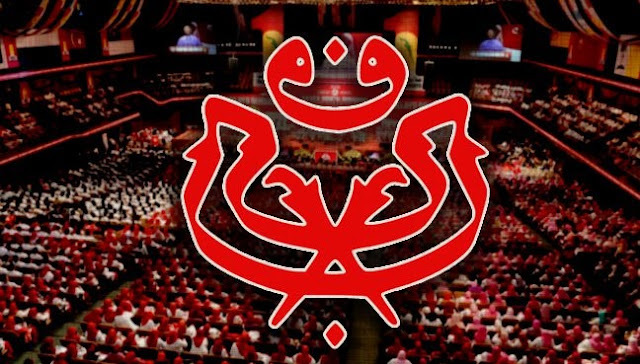 KUALA LUMPUR : Umno has received the nomination forms of seven presidential hopefuls for the first time in history. The party executive secretary Datuk Seri Ab Rauf Yusoh made the surprise announcement after nomination submissions for June 30 party polls were closed today. He confirmed that this was the first time Umno has received such a big number of applications for the post. But he declined to state who the aspirants were despite being relentlessly pressed by the media. It has been reported that among those in the running for presidency are Gua Musang member of parliament Tengku Razaleigh Hamzah, the party’s deputy president Datuk Seri Dr Ahmad Zahid Hamidi and Umno Youth chief Khairy Jamaluddin. Another poser was also revealed during the press conference as Rauf said that three people were vying for the Umno deputy president post. Prior to the briefing, Tan Sri Annuar Musa who is the party’s information chief and former Negeri Sembilan Menteri Besar Datuk Seri Mohamad Hasan were the only ones who had openly declared their decision to file in papers for the number two post. Rauf however pacified the media by stating that the updated list would be made available to the public after 5pm tomorrow. “We need to vet (details of the candidates) against the Insolvency Department to ensure that they are not bankrupt,” he added.